Fallbrook is an unincorporated community in northern San Diego County, California. The Fallbrook census-designated place (CDP) population was 29,100 at the 2000 census. Fallbrook’s downtown is not on any major highway route. It is 6 miles west of Interstate 15 or 5 miles north of State Route 76. Fallbrook is situated immediately east of the U.S. Marine Corps’ Camp Pendleton. It once housed a stagecoach stop for the stage that ran from Temecula to San Diego. 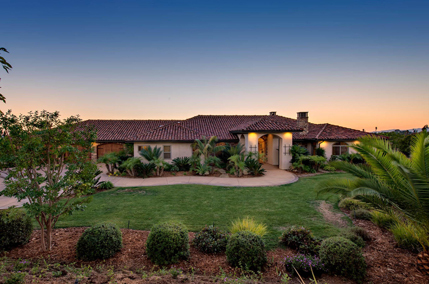 Fallbrook is known for its avocado groves and claims the title “Avocado Capital of the World”. It is often called or known as “The Friendly Village”. The Avocado Festival is held in the downtown strip annually and frequently draws large crowds. Fallbrook has an average year-round temperature of 61 degrees. Due to the prevailing ocean breezes, the humidity is relatively low and constant.